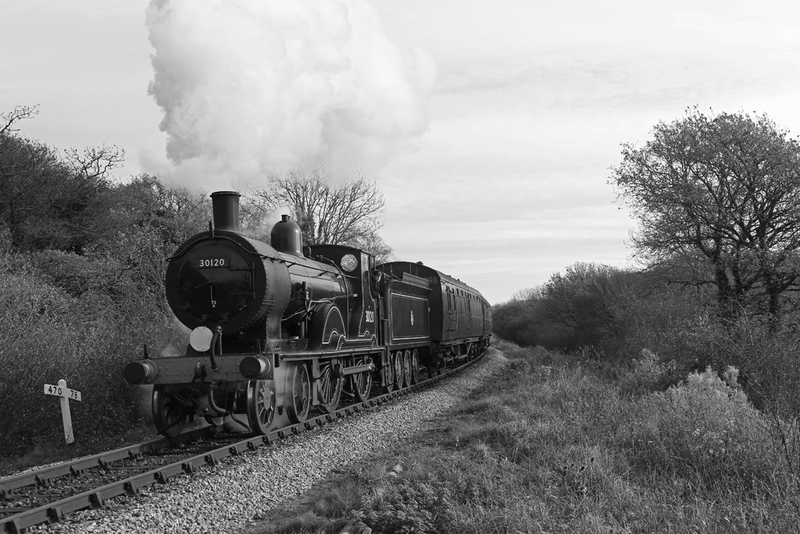 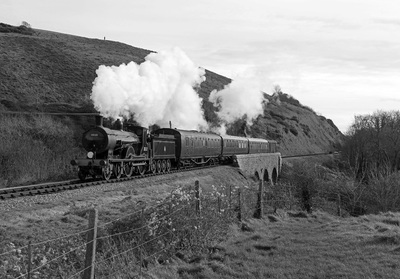 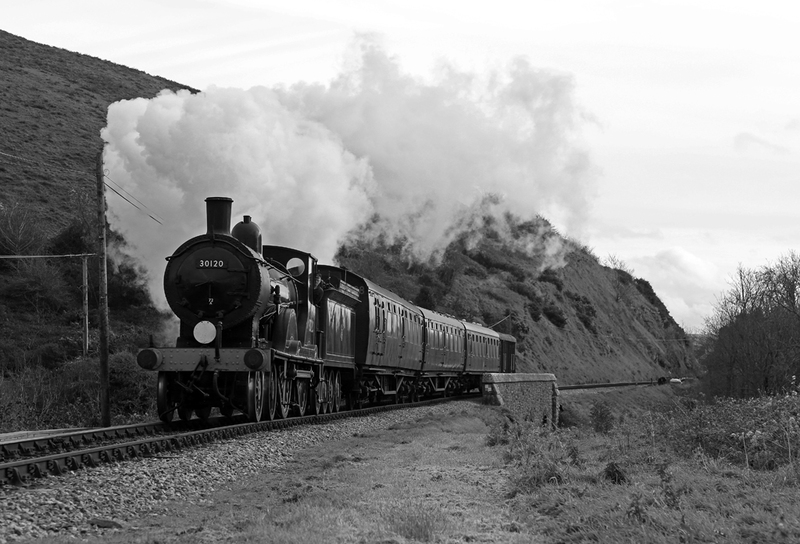 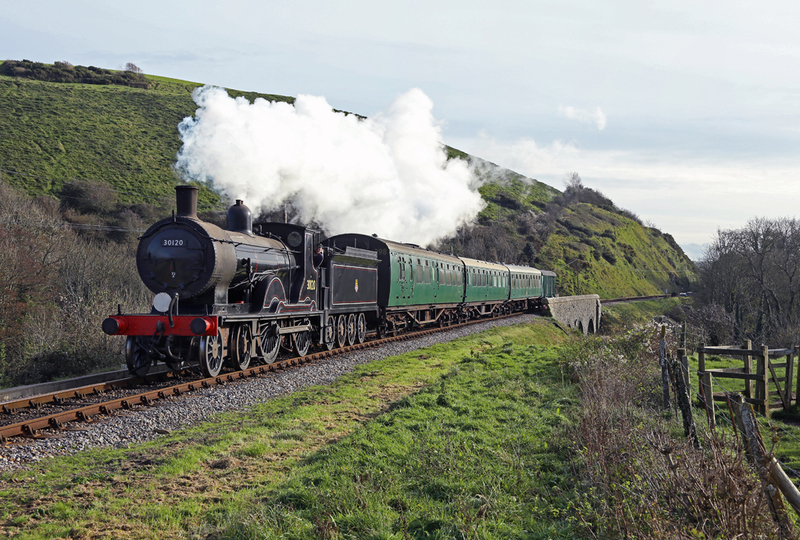 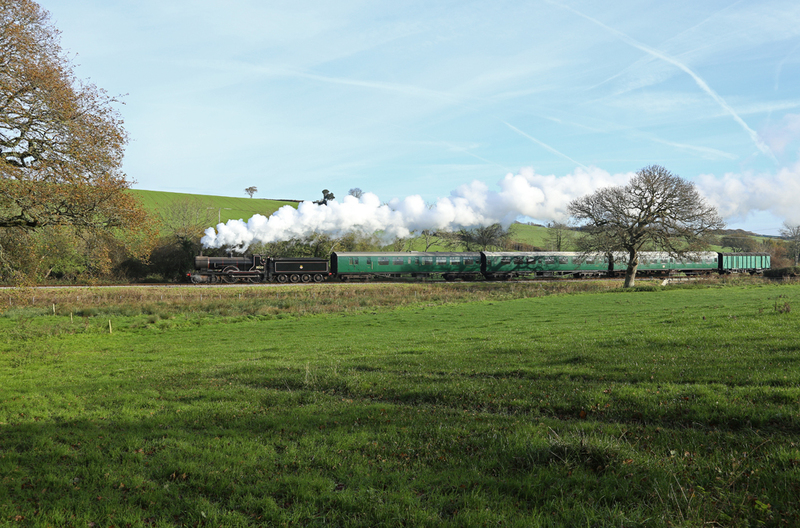 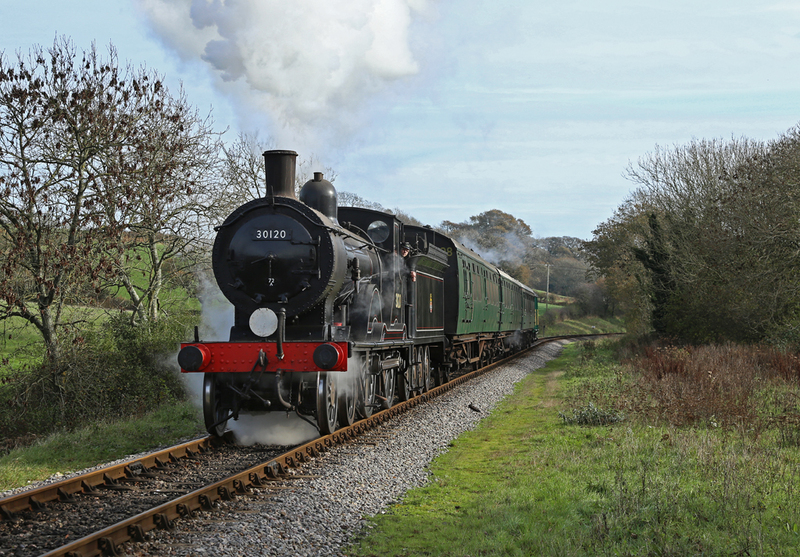 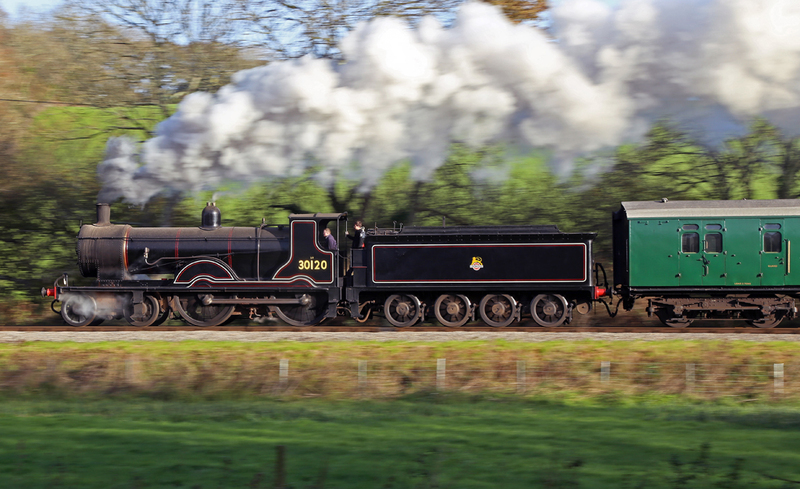 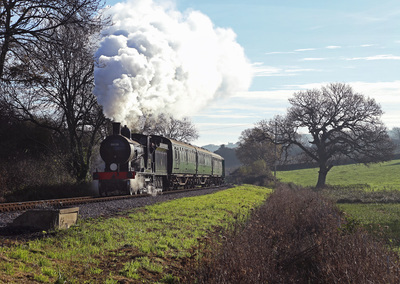 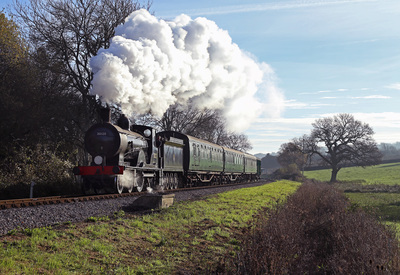 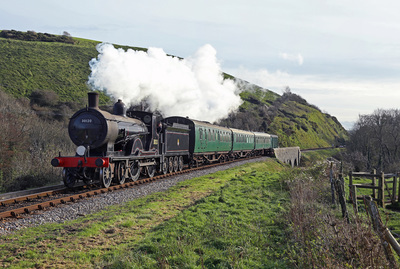 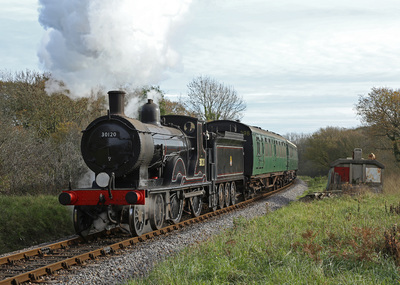 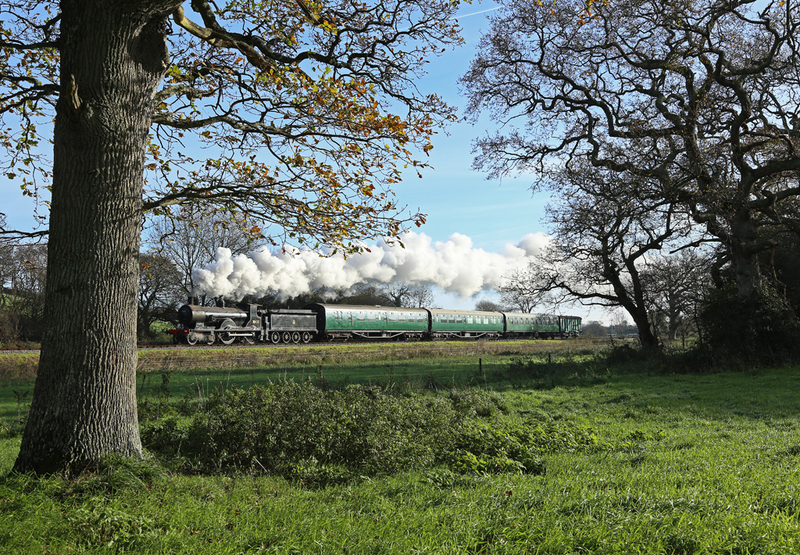 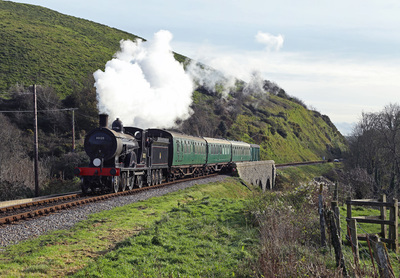 A Timeline Events Photo Charter at the Swanage Railway using the stunning Ex-LSWR T9, No 30120, which is on an extended visit from the Bodmin & Wenford Railway. The consist for the day was two Bullied's, a Mk1 and a PMV. 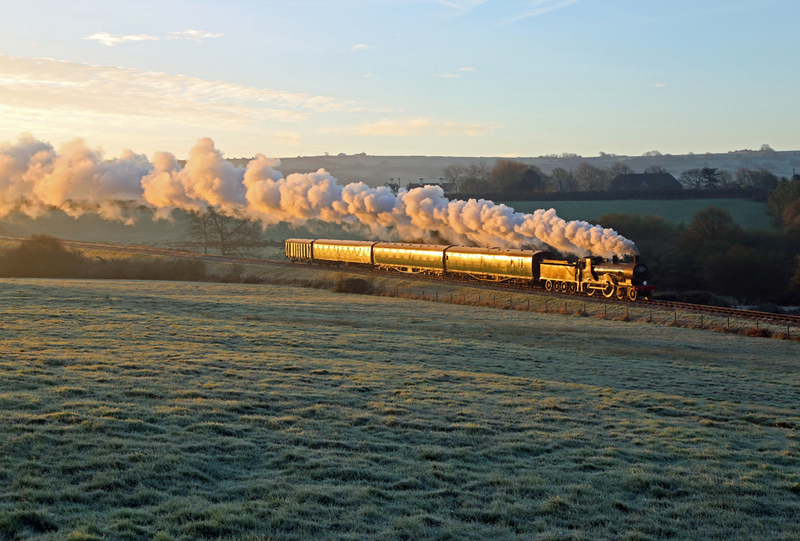 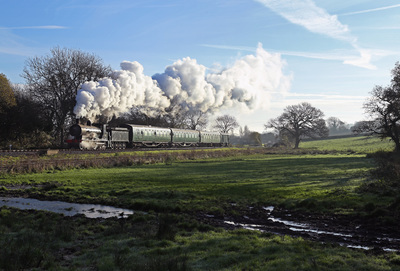 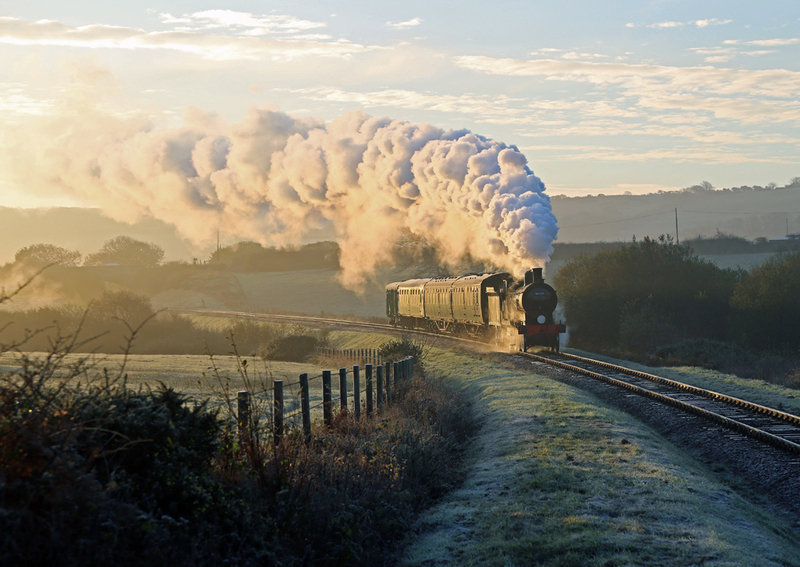 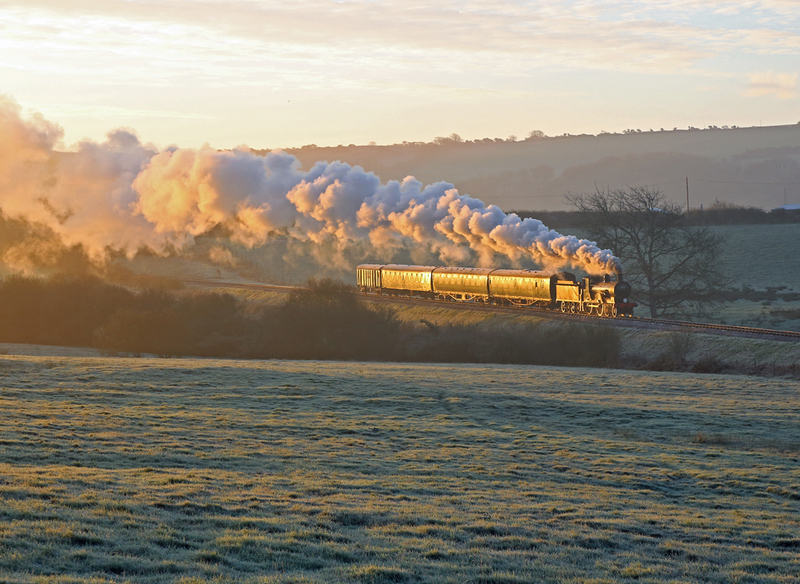 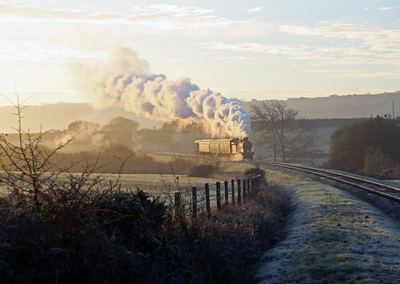 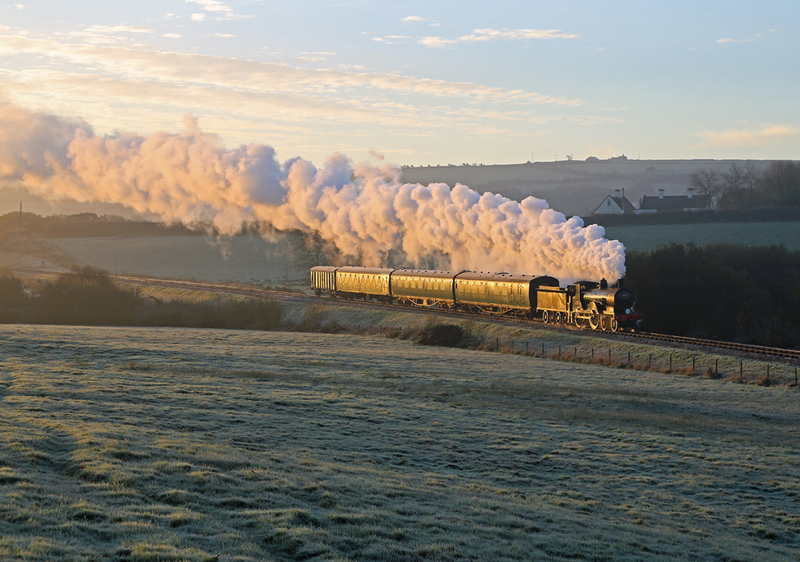 The weather for the morning was absolutely perfect for photographing steam, with a hard frost, still air and glorious sunshine. 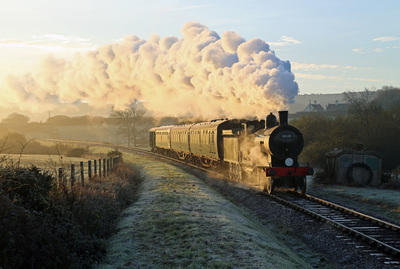 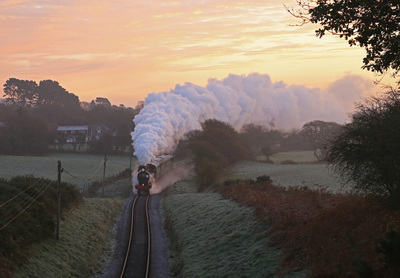 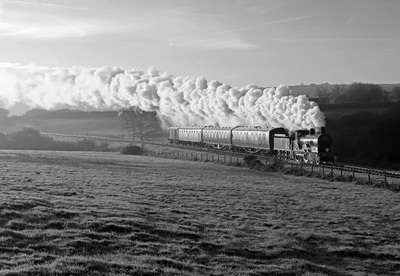 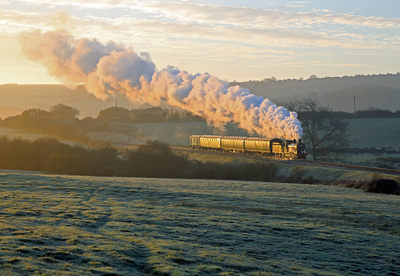 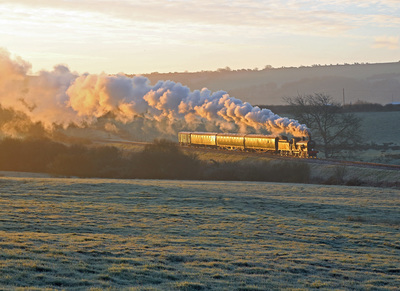 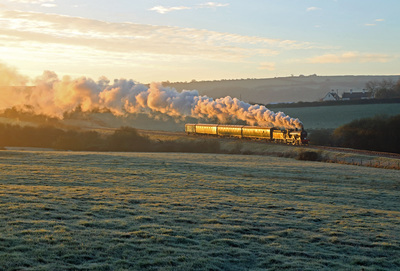 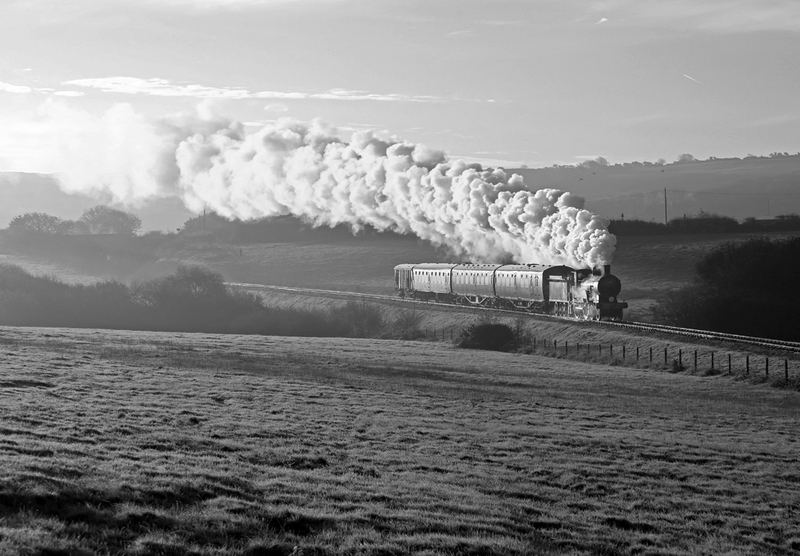 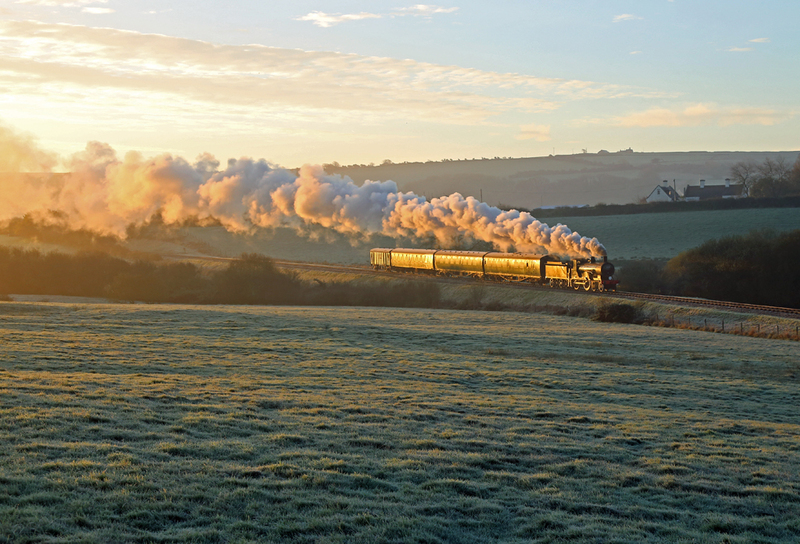 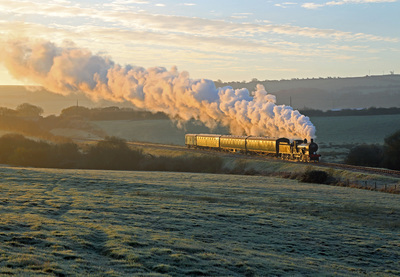 The charter started at Harmans Cross, with the train arriving shortly before sunrise. 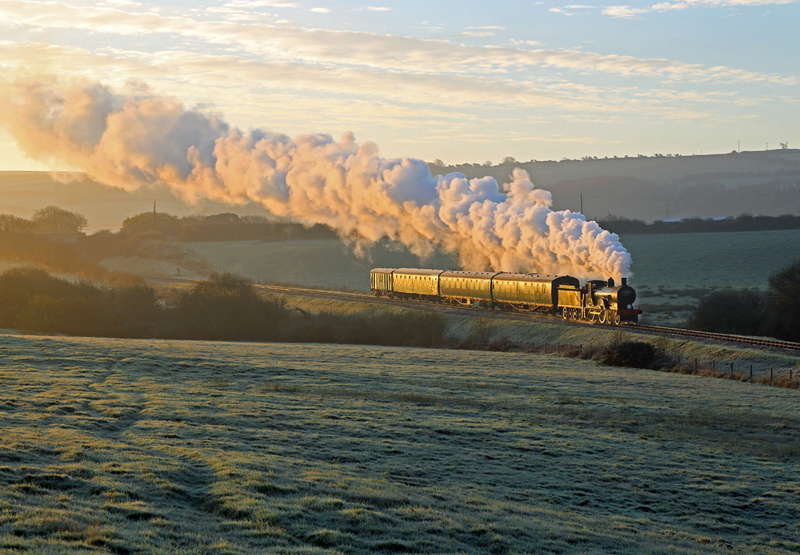 Our first location was Corfe Common which produced multiple shots in the first rays of sunshine and before the frost melted away. 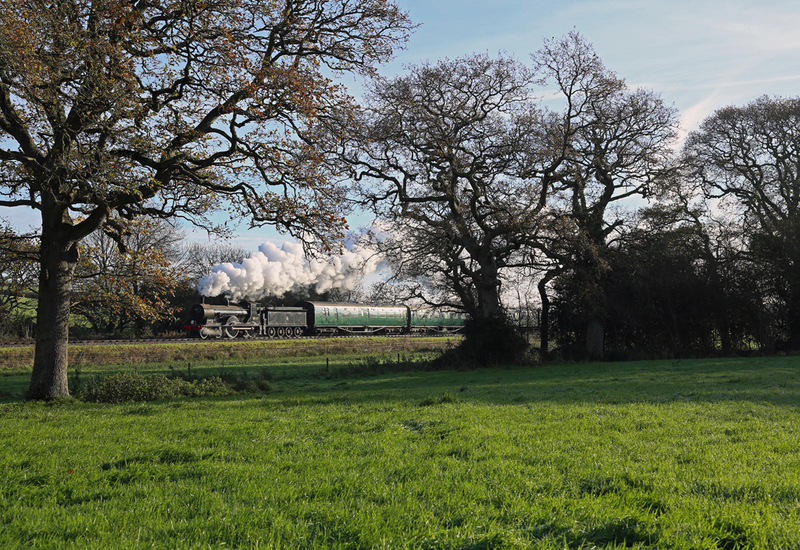 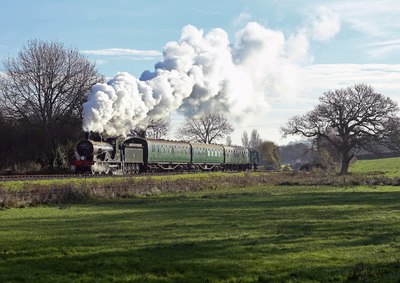 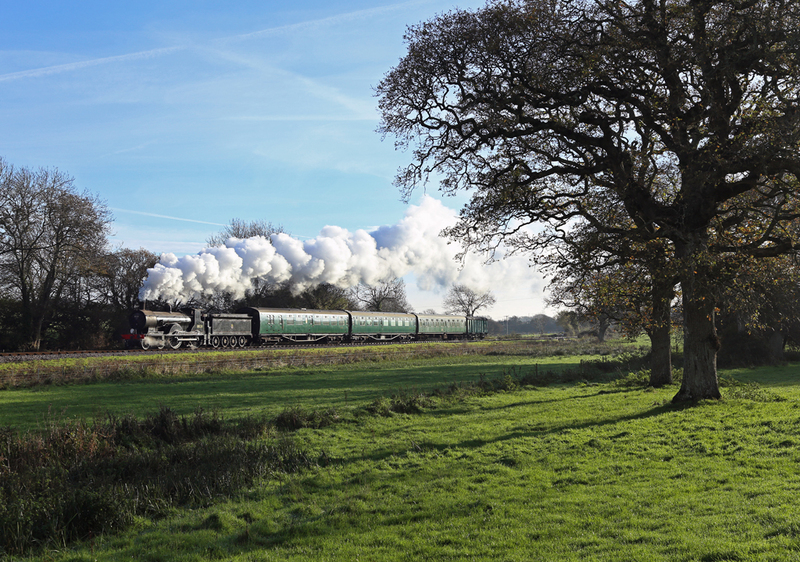 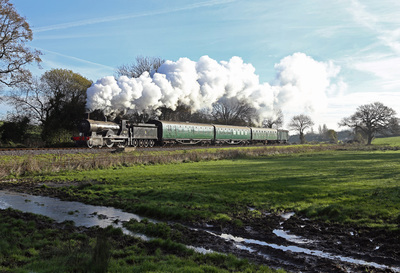 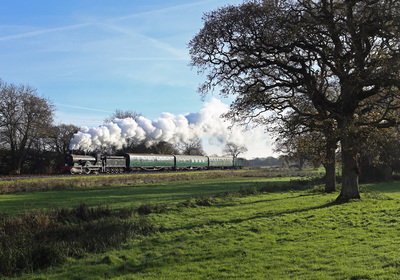 More stunning scenes were captured before lunch to the west of Herston Halt. 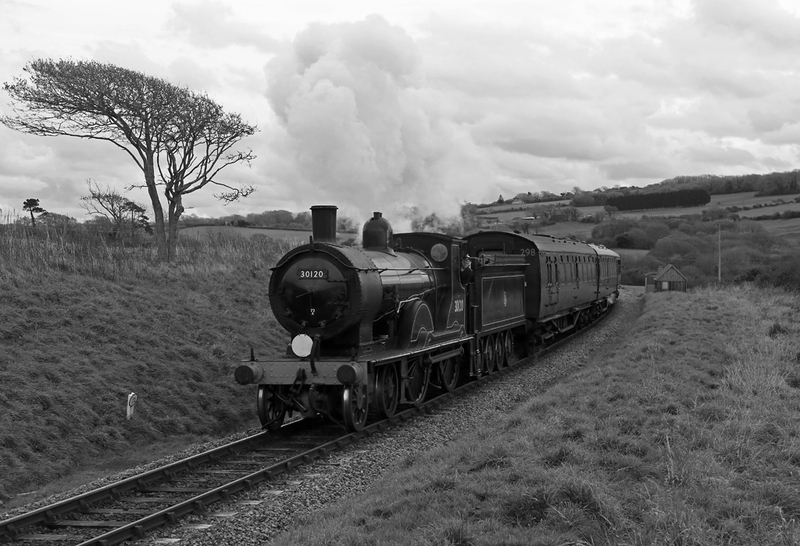 By the afternoon however the light faded away until it was very dull indeed, but after the morning session no one was complaining.